Silver Chain Group Acting CEO Lyn Jones discusses a new model of home care support that is expected to help reduce hospitalisations. One thing we often hear from our clients and their families is that once they start needing higher levels of care, their experience can become confusing and fragmented. Co-ordinating appointments to their GP, specialists, health services, in-home care and hospital visits are often overwhelming and can impact on the person’s quality of life. 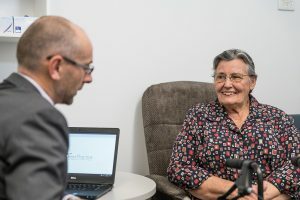 In July, we were very pleased to launch the second trial phase our new Integrum Aged Care+ service which is being trialled from a dedicated clinic in Belmont; the home base for a multi-disciplinary team who work with the goal of supporting the client to stay in their own homes for as long as possible. We know that people with multiple complex, chronic conditions who have been hospitalised in the last 12 months, are increasingly likely to keep going to hospital. This can be and often is distressing for most people, especially those whose preference it is to keep living in their own homes. 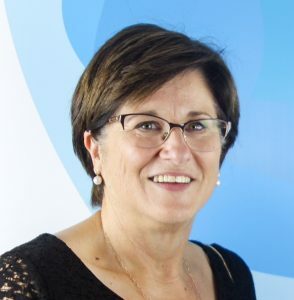 As a provider of both health and aged care services, Silver Chain is uniquely positioned to implement a “wrap-around” approach to care and the innovative Integrum model affords access to home care including nursing, rapid response care, exercise physiology, psychosocial support, family support and GP care for our clients with chronic health needs. We also made some very deliberate decisions for the model to support this group, who are often also experiencing feelings of loneliness and social isolation. A key tenet of the Integrum model is appointing registered nurses in a case manager role to become the primary point of contact for our clients. Not only do they have extensive knowledge about chronic conditions and how to manage them in the community, but by getting to know the clients very well, they are better placed to identify when there’s a change in their condition and have easier access into their homes to start or advise on treatment. If they need to escalate the response, there is a dedicated Integrum doctor who can review the client’s conditions. By being able to act quickly, we can help these clients avoid a hospital visit when it is safe to do so, and give them the confidence to know that there is support available to them to keep them at home. When they do need to go to hospital, it’s about reaching in to get them home as quickly as we can, completing a thorough post discharge review and supporting them during the high-risk period 28 days after admission. Integrum Aged Care+ has been developed in collaboration with our partners the WA Primary Health Alliance (WAPHA), as well as through consultation with the wider hospital and community health systems. We’ve actively engaged with our clients and their carers to identify where the biggest impact could be made. The trial follows a smaller pre-trial run in 2017, and a large part of it is evaluating the impact of the service not only on the client, but also on their carers. Specifically, we’re looking at how in control they feel on their care journey, and how confident they are at managing their conditions themselves with appropriate education and support. 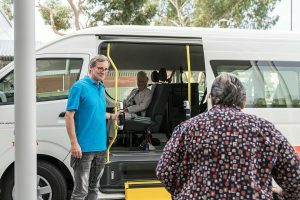 Curtin University are interviewing our clients and their carers to explore how the service is impacting their quality of life, so that we can independently validate the design of complete care. 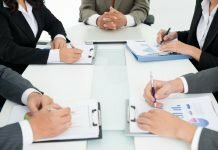 PWC also are on board to evaluate both the financial side of the model and the impact on the system in terms of reduction in hospitalisations. The final piece of the evaluation is around how we’re working with other stakeholders in the health system. As a ‘shared care’ model, it’s important to quantify with our clients’ GPs that the service is adding value and a beneficial level of care that their most complex clients need and value. Early indications support that the trial will result in savings to the hospital system, through a reduction in the number and/or length of hospital stays. Key to the success of this approach to care is that we are able to provide peace of mind to the clients and their carers that they can be receiving the care they need at home, and give them the confidence to be the authors of their own care at a time they need it most.